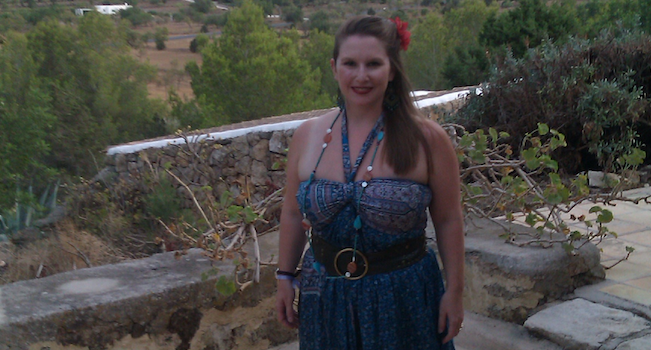 When I decided to go on the Feel Fab retreat in Ibiza in 2012, I thought it was a good alternative to a food and luxury centred city retreat, and certainly a healthier option and probably a good opportunity to lay off the heavy lifting and interval training that had successfully been both shedding some pounds and destroying my body. I had been attending yoga classes with Amy for some time, first at a gym and later at her yoga studio at Alive and I had been seeing Nina for reformer Pilates classes for several months before I heard about the retreat. I am not a religious or even particularly spiritual person; in fact I am an atheist. I expected to enjoy some time with two of my favourite people, meet some new ones, explore a new place, practice my Spanish, enjoy the challenge of hot yoga every day and generally accept that there were going to be at least some discussions of chakra and yogic spirituality which I would just have accept with an open mind. What I experienced was not what I expected. It was hard, it was emotionally charged and exhausting, it was cathartic, and it was one of the best experiences of my life thus far. The beauty of the retreat was not that I came home thinner, fitter, stronger and tanner. It’s easy to lose and gain weight through any number of exercise and diet plans and if you are anything like me the numbers cycle up and down year by year no matter what happens. Fitness and strength you can gain from the judicious application of cardiovascular, interval and weight training, and this too can vary throughout one’s life. A tan is always merely fleeting, particularly if you live in England, unless you go for the spray variety. What you take away from this combination of physically and mentally challenging hot yoga in 40 degree heat (when the outside is only a little less) with various other forms of meditation and kundalini yoga, the ultimate relaxation of the pool side and beautifully healthy food is far more than the physical benefits. Despite my scepticism, and despite how much part of me fought any belief in the spiritual, I felt that my soul had been cleansed. I took a peace away that has stayed with me. I have methods to deal with stress that work far better than a bottle of wine. You don’t have to believe in the eternal divine or the consciousness of the universe, there is truth in finding balance between body, mind and emotion, or spirit if you like. When a body is out of balance, nothing works right. There is pain and frustration in how such an imbalance can limit you. This is something I can relate to on a daily basis in my personal physical world. When your “spirit” is out of balance, which I might define as the combination of our minds, emotions and idiosyncratic personality traits, our ability to face the world and the problems that it throws at you is fundamentally compromised. The balancing exercises of mind and body, the counselling of my dear friends and the huge mind over body challenge of hot yoga showed me that you don’t have to be spiritual to gain advantage from spirituality.